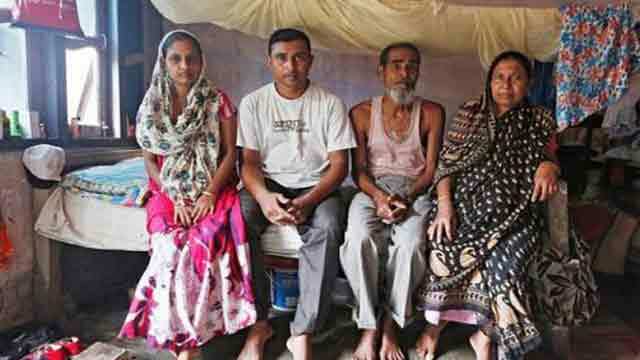 Dhaka, Aug 17 (Just News): Riyazul Islam says he had to produce family documents going back to 1951 to prove he was an Indian and not an illegal Bangladeshi immigrant. But a draft list of citizens released in July excluded him and his mother, among a total of about 4 million people left off. A wiry 33-year-old living in the northeastern state of Assam, Islam says he and his mother have no further documents left to prove they are Indians, although his father and many others in his family have been included in the National Register of Citizens. Opposition parties say Modi's Bharatiya Janata Party is denying citizenship to Muslims through the Assam list, and demonstrating its Hindu nationalist credentials with an eye on a general election due by May. ‘(This is) being opposed for political mileage whereas at ground zero there is absolutely no tension,’ he said. He showed Reuters a tribunal judgment on a resident named Tajab Ali, who submitted a series of voters lists as proof of his citizenship going back to 1966. He said his name had been wrongly recorded as Tajap Ali instead of Tajab Ali in the 1985 voters list, and his father's name wrongly recorded as Surman Ali Munshi instead of Surman Ali. There were also discrepancies in his age. One of the documents she submitted to prove citizenship, and shown to Reuters by the family, was an affidavit saying her name had been wrongly recorded as ‘Sabahan Bibi’ in the 1951 citizenship registry, the first one drawn up in the state after India's independence in 1947. The affidavit also said she was named as ‘Sahajadi Begum’ in her school certificate, and that she changed her name to ‘Sajida Bibi’ from ‘Sajida Begum’ after her marriage. ‘For 38 years, we've been fighting to protect the language, culture and identity of our indigenous people in our own motherland,’ said Samujjal Bhattacharya, an adviser to the All Assam Students Union (AASU), an organisation that has spearheaded the campaign against illegal immigrants.